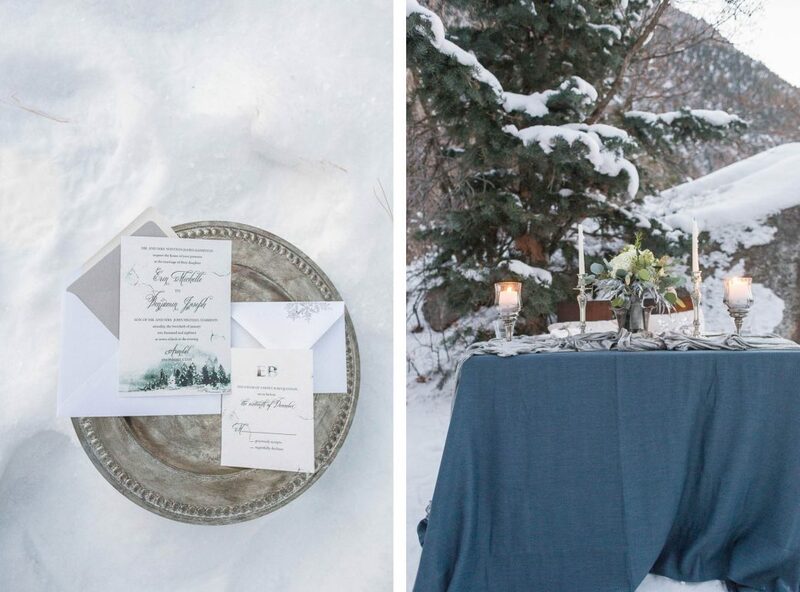 Inspired by the Disney movie Frozen, this winter styled shoot in the Rocky Mountains of Utah showcases a gorgeous sparkling blue gown with a luxurious white cape. 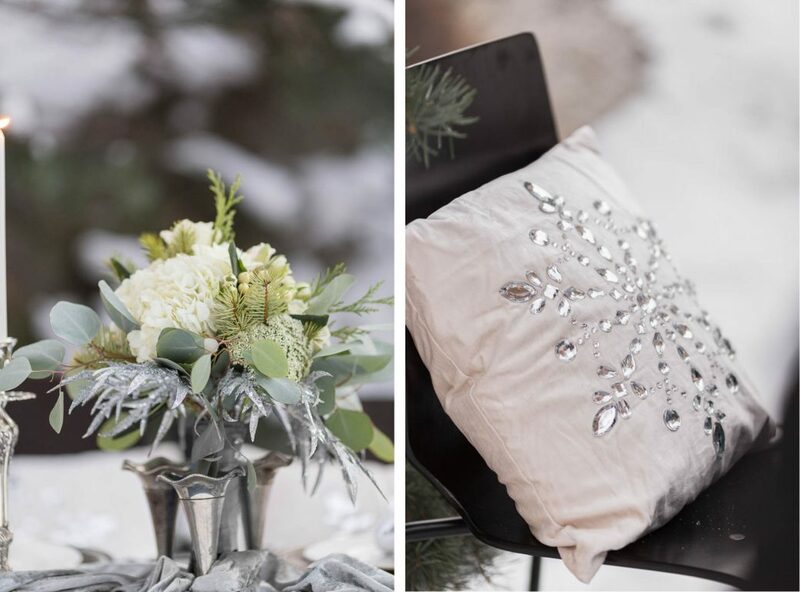 For the bride planning a winter wedding in the snow, this shoot will inspire you to consider a colorful dress paired with white accessories and a touch of sparkle. Has anyone told you to “Let It Go,” but you just can’t? Well, we just simply couldn’t let this one go! I mean, who could? 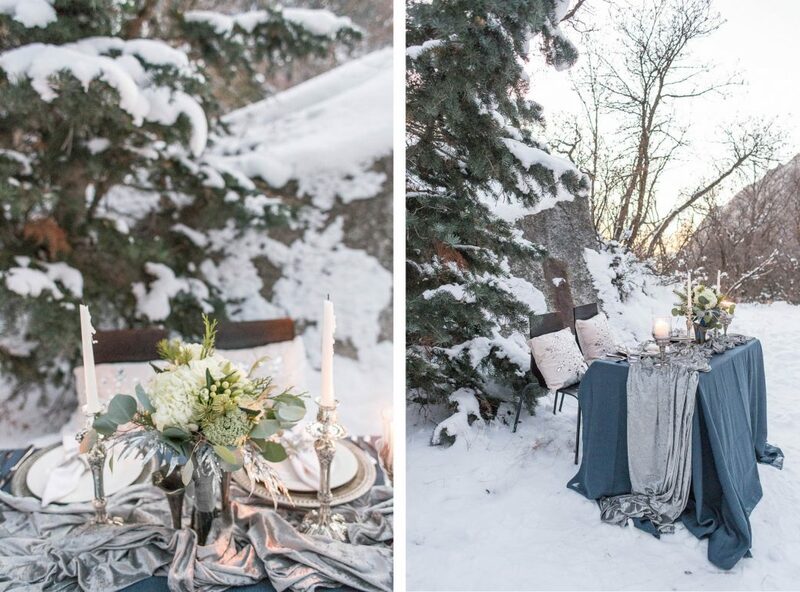 We absolutely adored our very own “Frozen” inspired shoot. We ventured far and away and created a spectacular kind of magic – just as Queen Elsa did. We can’t believe how gorgeous the landscape was, but it pales in comparison to Elsa. Isn’t she stunning? She truly glowed in her icy element. It was simply unreal to watch “real life” Elsa stroll through the snow. As the sun went down, the temperatures did too, but the cold never bothered us anyway. Before we knew it, it was time to allow Elsa to return to Arendelle. 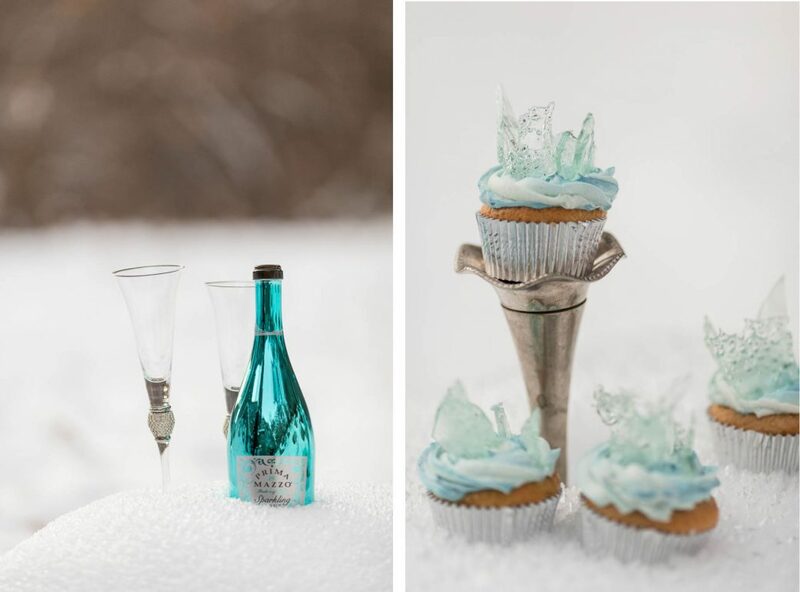 The gorgeous cupcakes were inspired by Elsa’s ice castle and the perfect pop of bubbly.